Samuel Beckett was born in 1906, lived most of his early life in Ireland, with stops in London and a long well-hidden stay in the South of France in WWII, before settling in Paris. He is remembered best for his avant-garde fiction, and in particular an absurd play titled Waiting for Godot. (But if you think that was absurd you should read How It Is.) 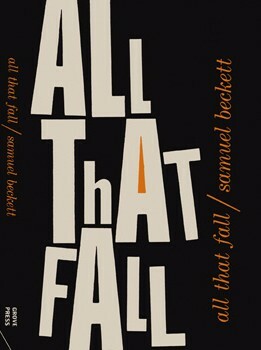 Beckett is not remembered for his works written for radio, but there were several and all worthy of note. Some of his radio plays are not considered to be radio plays in formal bibliographies on dubious grounds. I'll explain. More here. "Never thought about radio play technique but in the dead of t’other night got a nice gruesome idea full of cartwheels and dragging of feet and puffing and panting which may or may not lead to something." Over the next 20 years, his cartwheels ultimately led to five plays specifically intended for radio, and arguably a few others. His radio debut was in 1956 All That Fall. You can hear it here. The play was written in English, specially for the BBC well after he began to write primarily in French. The piece was directed by his drinking buddy, Don McWhinnie. This is well described in the book Directing Beckett by Lois Oppenheim. It was first broadcast on the BBC Third Programme, January 13th of 1957, It featured actors Mary O'Farrell and J. G. Devlin. Patrick Magee and Jack MacGowran had minor parts. (It was later broadcast as Tous ceux qui tombent on RTF/ORTF in Paris, on February 25th, 1963.) A "modernized version" was broadcast on June 4th, 1972. Directed by Donald McWhinnie. That play was followed by From An Abandoned Work, which had been previously published in the Trinity News, June 7th 1956. [SOURCE] The play began as a novel he started in 1954 but had abandoned. It was first broadcast on BBC Radio 3’s Third Programme on December 14th, 1957 together with a selection from his 1951 novel Malloy. The first person narrative was delivered by Patrick MacGee, directed by McWhinnie. 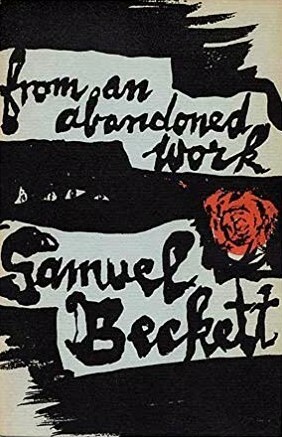 In later listening to a rebroadcast, Beckett was so taken with MacGee's performance that it inspired him to write what he then called "MacGee's Monologue". This later became the play Krapp’s Last Tape, a work sometimes even described as a "meditation for radio." Inexplicably, most bibliographies do not consider Krapp's Last Tape to have been a radio play. This is likely because it debuted in Theater, then moved to BBC2 television. Also written in 1957 was Embers, but it wasn't broadcast until June of 1959. McWhinnie directed again and the protagonist was played by Jack MacGowran, for whom the play was specially written. Supporting case included Kathleen Michael and Patrick Magee. It was First broadcast on the BBC Third Programme on June 24th, 1959. You can hear it here. The play won the RAI prize at the Prix Italia awards later that year. A decade passed before Beckett returned to the radio medium. Rough for Radio I is a short radio play written in in French in 1961 as as Esquisse Radiophonique and first published in Minuit, issue 5 in September 1973. Its first English publication as Sketch for Radio Play was in 'Stereo Headphones' issue 7, in spring 1976. Plans for a BBC production, with Humphrey Searle providing the music amounted to nothing in the 1960s, but a French version was produced by ORTF in 1962. Rough for Radio II was also first published in Minuit, this time issue 16, November 1975. It was written in French in 1961 as Pochade Radiophonique and published in Minuit 16, November 1975. The BBC beat RTE to it this time and Beckett translated the work into English for its debut broadcast on BBC Radio 3 on April 13th, 1976, his birthday The program also included Dante and the Lobster from his collection of short prose More Pricks than Kicks and a variety of live recordings from the National Theatre: From an Abandoned Work, Malone Dies, Murphy, Watt, Malloy, Still, The Unnamable, Cascando, First Love, Texts for Nothing and a selection of his poems. Most lists completely exclude The Old Tune from Becketts radio resume. After Embers, but before Rough for Radio, Beckett translated and re-wrote Robert Pinget’s 1960 play La Manivelle for the BBC. Its first radio broadcast was August 23rd, 1960. Barbara Bray directed and actors Jack MacGowran and Patrick Magee voice the parts. It's worth noting, as his interest in radio came in distinct phases. The lone exception being a 1972 recording of selections from How It Is, probably taped at the same time as the Krapp’s Last Tape BBC sessions. It was released as a 7-Inch by J&B Recordings. His last work for radio was Cascando, a radio playwritten in French in December of 1961. It is subtitled 'Invention radiophonique pour musique et voix.' It was first broadcast on France Culture (RDF) on October 13th 1963 with actors Roger Blin and Jean Martin. The first English-language production was on October 6th, 1964 on BBC Radio 3 with Denys Hawthorne and Patrick Magee (of course). Shortly before his death in 1989, the Beckett Festival of Radio Plays, including productions of all of Beckett's extant plays for radio, was recorded and produced at the BBC Studios, London on January 1988. It was distributed in the U.S. by APR (American Public Media). It was intended to be broadcast in it's entirely on his 80th birthday, April 13th 1989. It was carried on NPR, Pacifica, RIAS, ZDF and other networks. Hopefully the life-long, iconic pessimist was at least moderately pleased. 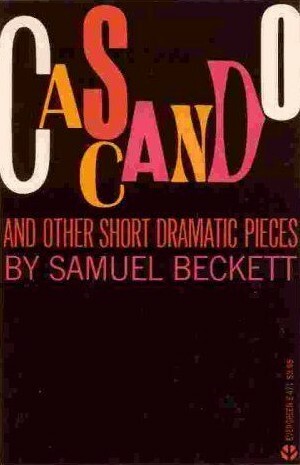 The year 2006 was the 100-year anniversary of Beckett's birth. 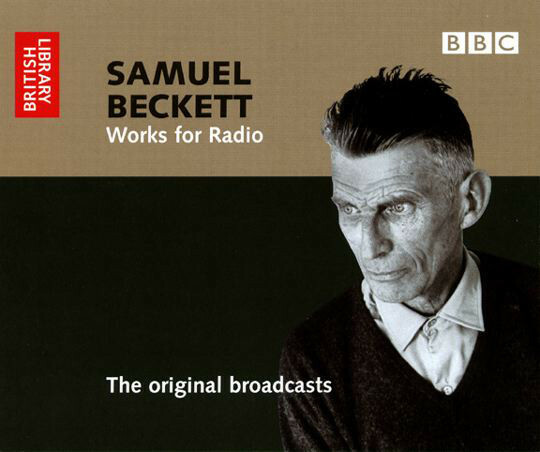 A complete run of all Beckett’s radio plays was presented by RTE Radio 1. 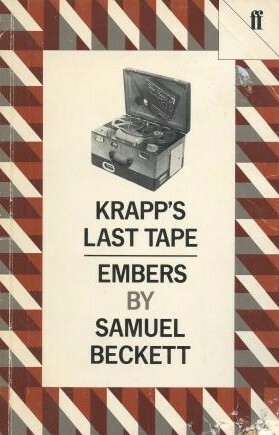 Also notably BBC Radio 3 revisited Krapps Last Tape, and then Embers in 2006 with a new cast under director Stephen Rea. The productions were rebroadcast on BBC Radio 3 on May 16th 2010 as part of a double bill. The question remains why are his radio works so obscure? In Katherine Worth's essay, 'Beckett and the Radio Medium' she explains "The plays Beckett wrote for radio have had considerably less attention than his stage plays. No doubt this is largely as Martin Esslin suggests, because there have been few opportunities to hear them." The book Samuel Beckett and BBC Radio by David Addyman, Matthew Feldman, Erik Tonning goes a step further quoting a 'tirade' by Beckett himself "If we can't keep our genres more or less distinct, or extricate them from the confusion that has them where they are, we might as well go home and lie down."